Foreign websites must abide by Chinese laws and its Internet management policies, if they want to operate in the country, a top official said on Tuesday. Wen Ku, director of the telecom department at the Ministry of Industry and Information Technology, said the Chinese government is committed to the healthy development of the Internet sector in the country, which is already the biggest in the world with about 650 million users, and has taken several steps to regulate the industry. Wen said the rapid development of the Internet is forcing China to come up with new measures to maintain cybersecurity and steady growth. "The country needs new methods to tackle new problems ... the development of the Internet has to be in accordance with Chinese laws," the director said at a news conference in Beijing. Three VPN providers－Astrill, StrongVPN and Golden Frog－claimed last week that their services had been disrupted and become unavailable for users on the Chinese mainland. 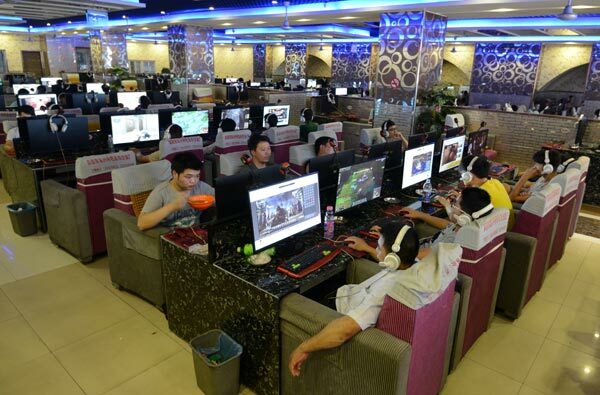 Many foreigners in China as well as some Chinese depend on VPNs to connect to servers outside the country and access blocked information and Google-based business tools. Searches for "VPN proxy" on baidu, the largest search engine in China, still provide hundreds of entries. Many VPN service providers ask for subscription fees, starting from about 200 yuan ($32) a year. But experts have said that it is illegal for foreign companies to offer VPN services in China. Fang Binxing, a senior online security expert, told the Global Times last week that companies running VPN businesses in China must register with the Ministry of Industry and Information Technology. "I have not heard of any foreign company that has registered," Fang was quoted as saying, adding that unregistered VPN service providers are not protected by Chinese laws, and any company running a VPN business should realize it has a responsibility to register. Charlie Dai, principal analyst at Forrester Research Inc, said some overseas organizations are making use of foreign online platforms to spread information that is illegal in China, and it is perfectly legitimate for the Chinese government to prevent the transmission of such services. Early in May last year, the Cyberspace Administration of China said the country had decided to launch a security review targeting IT products, services and suppliers preparing to enter the country's market. The policy is aimed at preventing Chinese computer systems from being controlled illegally, disturbed or shut down by problematical IT products and the services of some suppliers, as well as protecting users' privacy. Companies that fail the vetting process must not provide their products and services in China, the administration said. Jiang Jun, a spokesman for the administration, said at the time that ensuring the technology used in cyberspace and computer systems is safe and under control is key to maintaining national security, and protecting the economy, social development and people's rights.